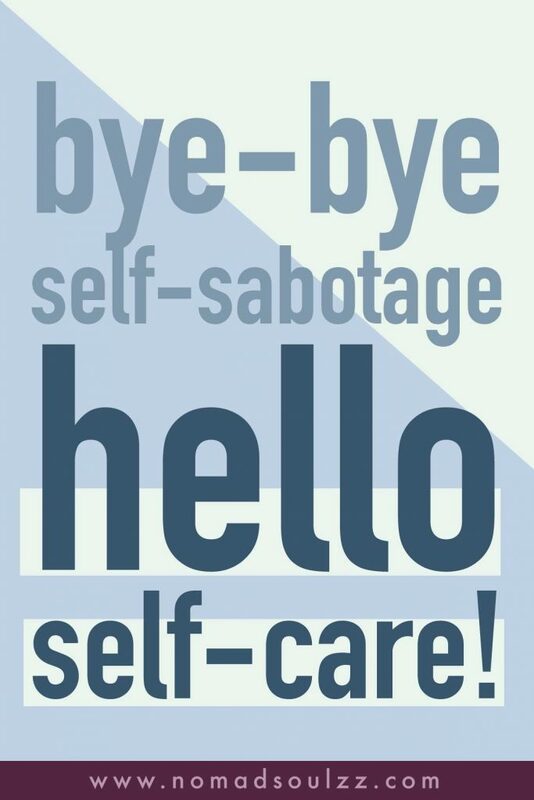 We love our self-care journey because we need self-care. Like many things in life, something becomes more attractive if you deeply feel and experience the necessity and value it carries. You might be craving real me-time, more moments to practice self-love and truly recharge but at the end of every week you’re still tired, washed-out and all you want to do is eat pizza and crash on the couch. Why? Because procrastination took over. Again. Bleh. We get that. And in a way crashing and eating pizza is self-care too, less intentional maybe, but at least honest and that’s a good starting point. 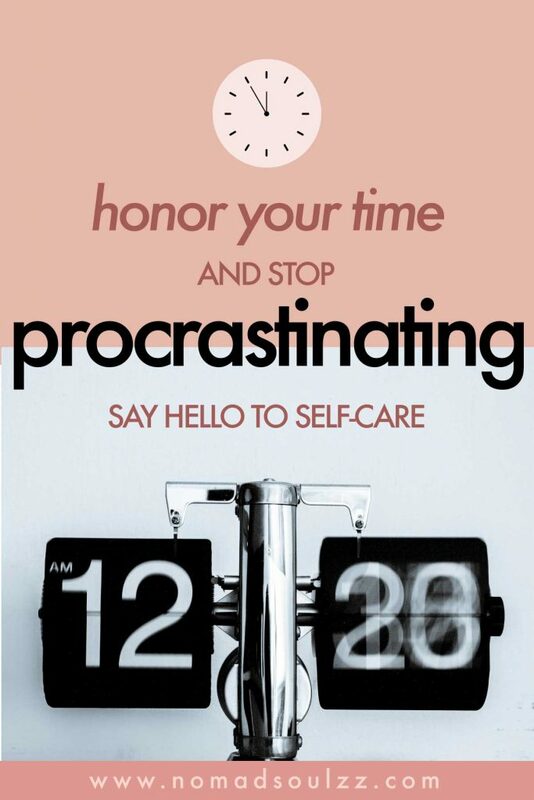 Today we want to discuss this nagging habit that stands in the way of you actually doing that self-care routine or at least allowing yourself some me-time. 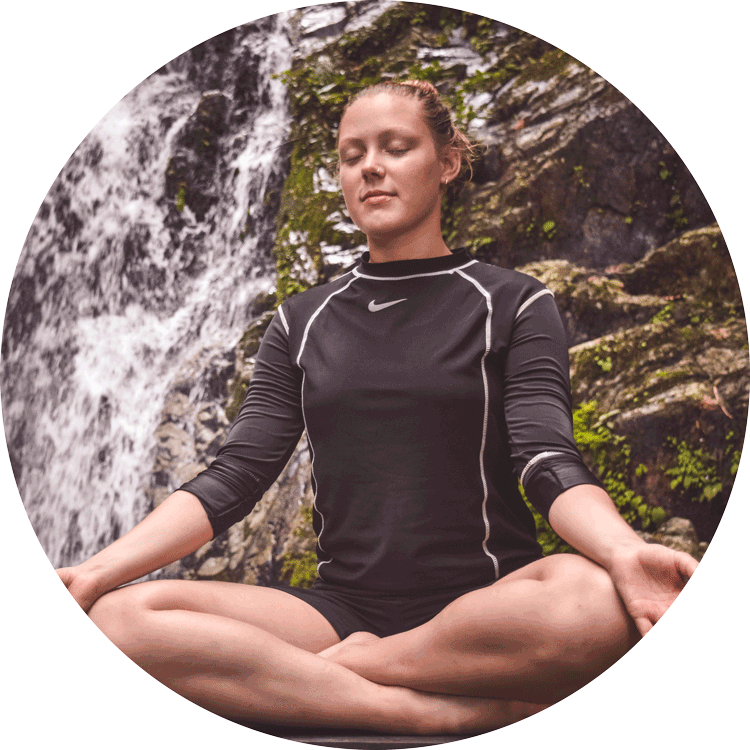 We believe that becoming aware of this habit is one of the best first steps you can take to finally start allowing self-care into your life, as a regular friend and not a far distant relative. If you too feel it’s time to transform the avoidance into assertiveness, you’re in the right place. 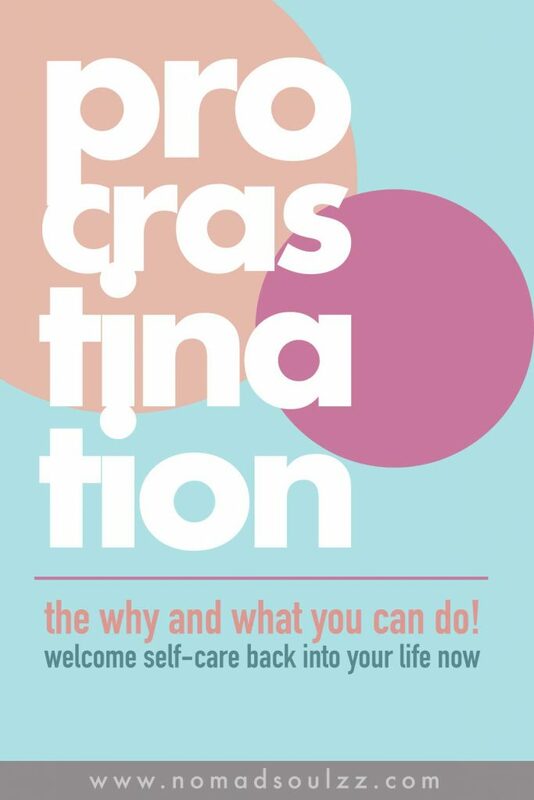 Let’s focus on why we procrastinate and on the practical things we can start doing to overcome that nasty tendency to look the other way. To procrastinate means to keep delaying something that must be done. This can either be something unpleasant or boring (like the laundry) or something important but a little bit stressful (like certain meetings). 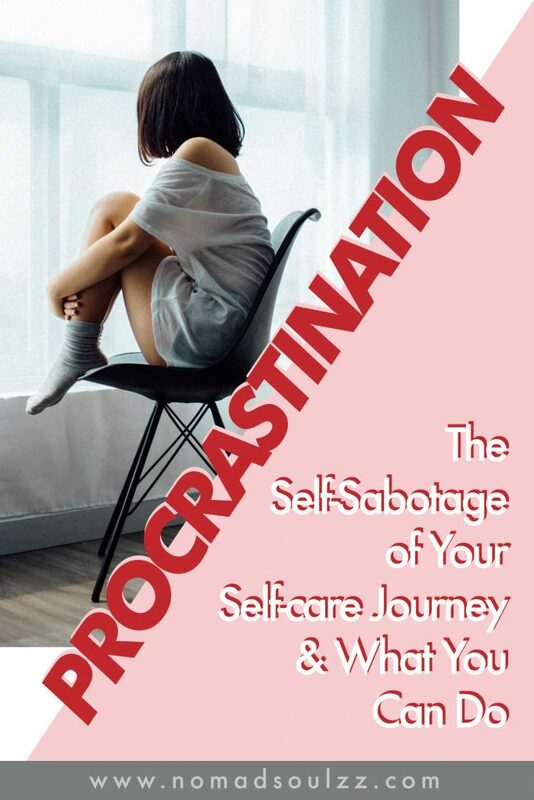 If it’s in your nature to procrastinate, you might very likely also procrastinate your self-care journey. Mason Cooley once said, procrastinating makes easy things hard, and hard things even harder. By simply avoiding something you are letting it steal your time, increase your stress and weaken your focus. If you wouldn’t know any better you would see it as an ultimate form of self-sabotage. You know you should drink at least 2 /3 liters of water a day. But you ‘forget’ to. 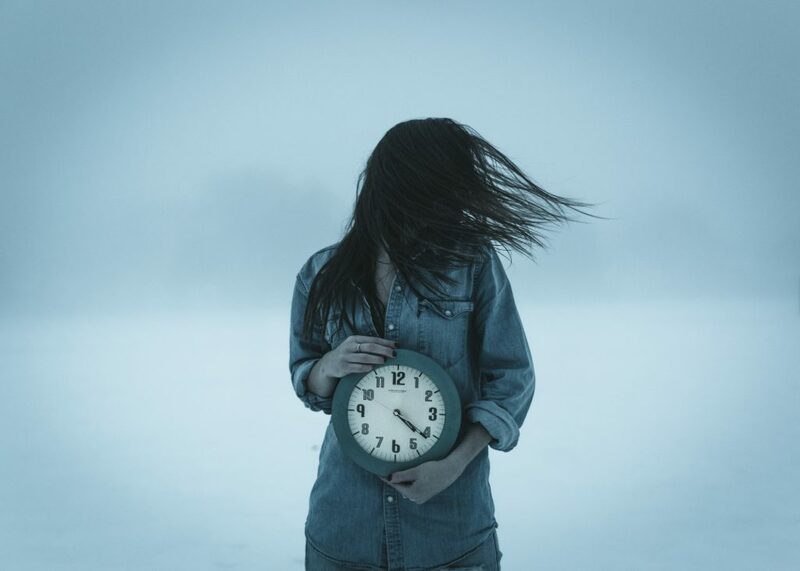 You want to read that inspirational book for self-development, but you don’t seem to have the time to. You want to meet up with friends but never respond to their messages. You wake up tired but never go to bed on time. You want to take up meditating but you don’t have the right stuff too. I could go on, but I think you’ve got the point. All this gammon and spinach (excuses) are creatively made up to avoid the real need to do something you actually want to do. 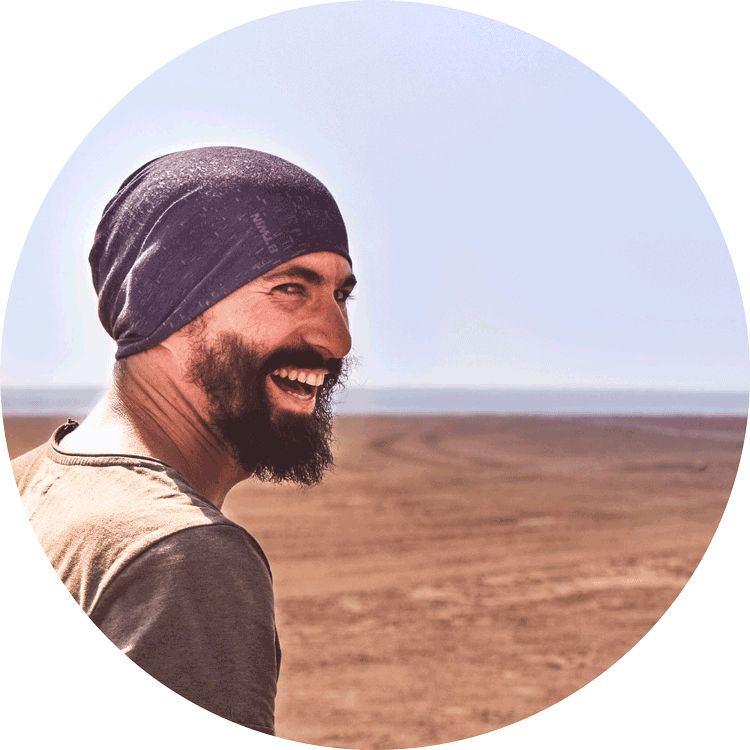 The root of the wants are found in a positive atmosphere – the aspiration to self-develop, the root of the excuses are found in a negative atmosphere – a process of procrastination. Before we tackle some things you can do to overcome your procrastinating tendencies. Let’s discuss why you could be avoiding things in the first place. This is for every person different, yet there are three-pointers in general that lead to the root cause of procrastinating. Fear of failure. The thought of putting in an effort but still failing makes you anxious, so you choose to avoid and procrastinate instead. Fear of success. 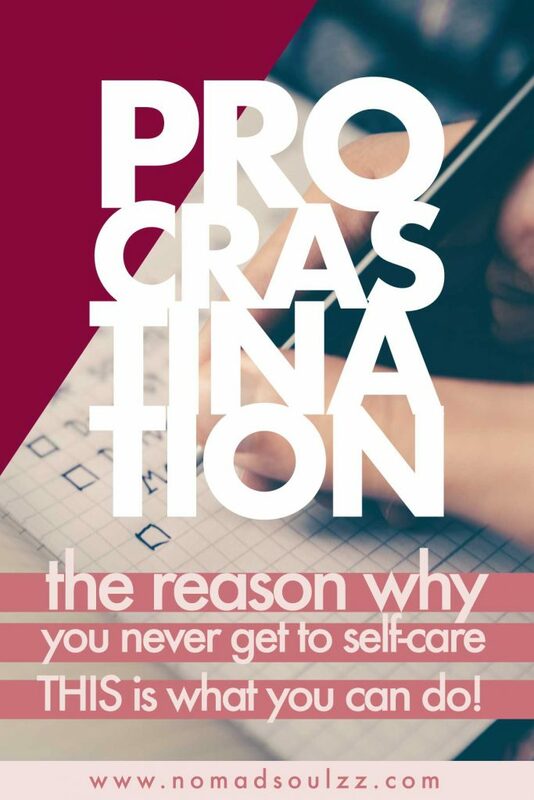 You believe that procrastination protects you from the higher expectations and greater responsibilities that may come with succeeding. Perfectionism. Because you believe that things should be done perfectly, the result is that nothing gets done at all. If one of the above resonates, great! Why great? Because you now know what to pinpoint, what to approach more mindfully and where you need more coaching. Personally, I have suffered and still suffer (it’s a process) from fear of failure and perfectionism when it comes to getting things done. On both personal and professional levels. Because laughing is healthy and I want to show you that you’re not alone. This is a thought that has crossed my mind in the past: If I meditate I want to be perfect and do it for at least an hour with no distractions. HAHAHHAHAHAAHAH let’s get real people. Because I was thinking like that (perfectionism101) I ended up not meditating (”failure”) and there were no fruits to reap from a meditation I could have done… By letting go of this specific fear of failure and allowing myself to be human and choosing progress over perfection (again, a process) I now enjoy a 15-minute meditation every morning with a couple of dog licks on my knees whilst I’m at it. And you know what? That feels perfect for me! I’m more concentrated, more at ease and I’m able to pursue my day more mindful. Absolute win! 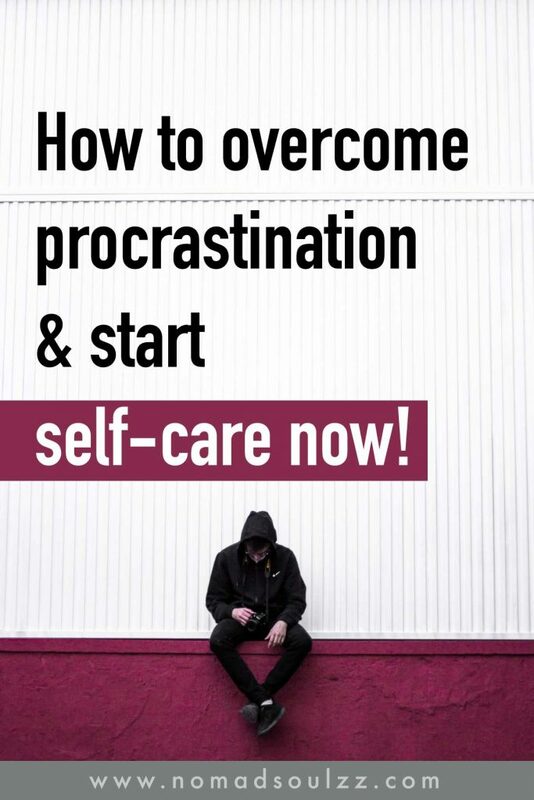 So what can you do to start overcoming that procrastination on a more practical scale? > Great question, better answers. Practice positive thinking. A lot of procrastination comes from thinking ‘I can’t do it now’, ‘It’s too difficult’ or ‘What if I make a mistake’ yadda-yadda. All these negative thinking patterns make you believe that you really can’t do it, ultimately resulting in procrastination. 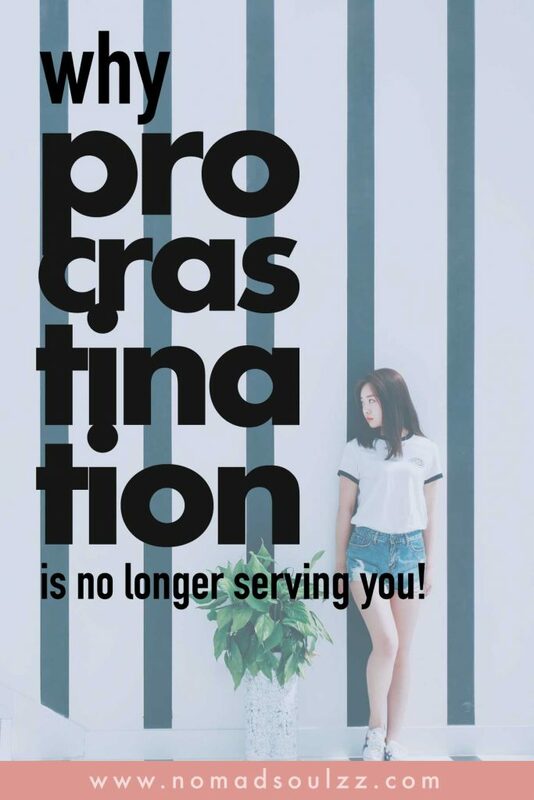 Like a lot of things in life, facing procrastination means facing your mindset. And boom. You’ve totally got this! An exercise you can do is write down those unhelpful thoughts and then either talk back to them or transform them into a more helpful and encouraging thought. Talkback how? By for example saying ‘If I don’t do it now, I will never do it. And this won’t help me in achieving my goals‘. Transform how? From its too difficult to I accept this challenge and I am looking forward to learning something new. Write down both how procrastination is holding you back and the advantages of overcoming the endless avoidance. Because ultimately, to achieve your new set goals its important that you feel confident that you can. 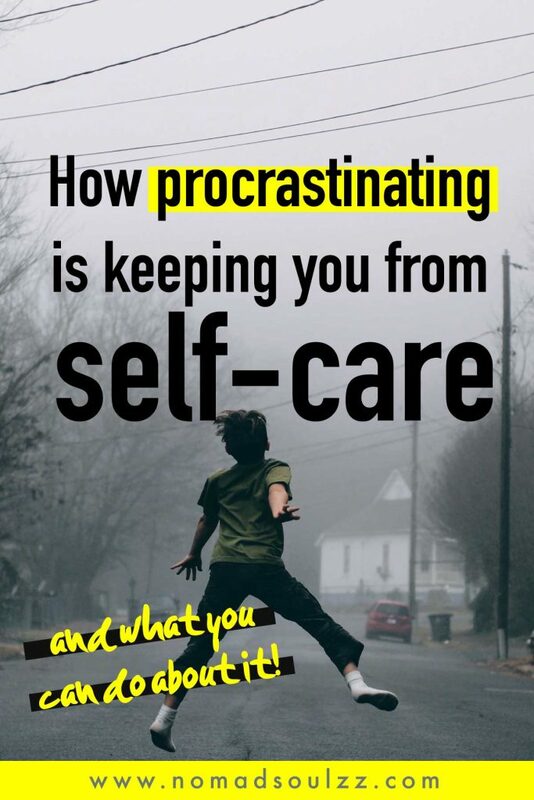 Writing the pros down – aka having physical evidence – of why overcoming your procrastination is going to help you can serve as a wonderful motivation to get going. Here at Nomadsoulzz we also find motivation in quotes. Certain words, in a certain sequence, shouldn’t be underestimated. We regularly post new collections of quotes that inspire us. If you’re anything like us, you might want to check our full collection of positive words on our Wall of Growth. Become a planning master. Surprise surprise, one of the biggest causes of procrastination is lack of good planning and time management. It’s not only about planning both the big and smaller things (meetings vs groceries) it’s also about becoming aware of your attention span and consciously giving a certain task a specific amount of time. 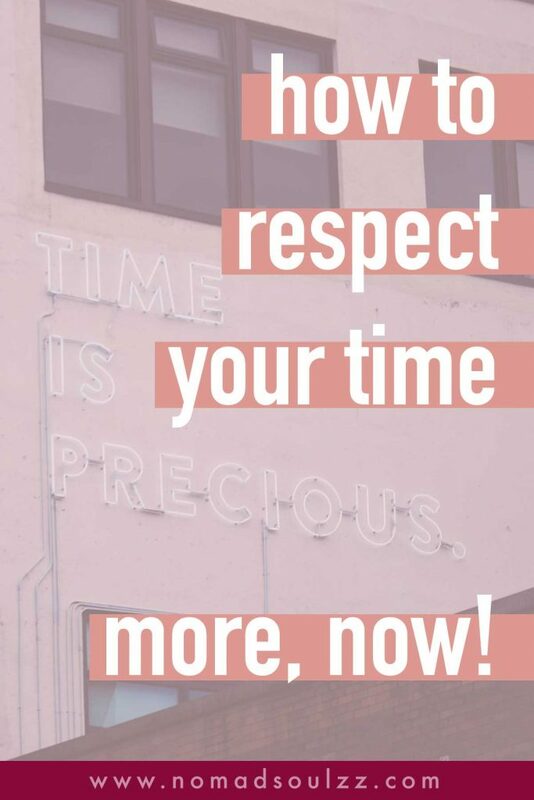 For example, set the amount of time that you will spend *cough* mindlessly scrolling through social media. And set an alarm in the morning. In other words, create simple boundaries for yourself to stick to. You will gain more structure and freedom within that. Prioritize & manifest your needs. Deliberately choose to set your mind and your actions towards the things you want to do. You can do this by designating a certain level of importance towards your tasks. When you have a to-do list it creates structure, boundaries and you are more likely to actually do it, rather than avoiding it. I like to see the to-do list a manifestation of the things you want to do, there is no way back. 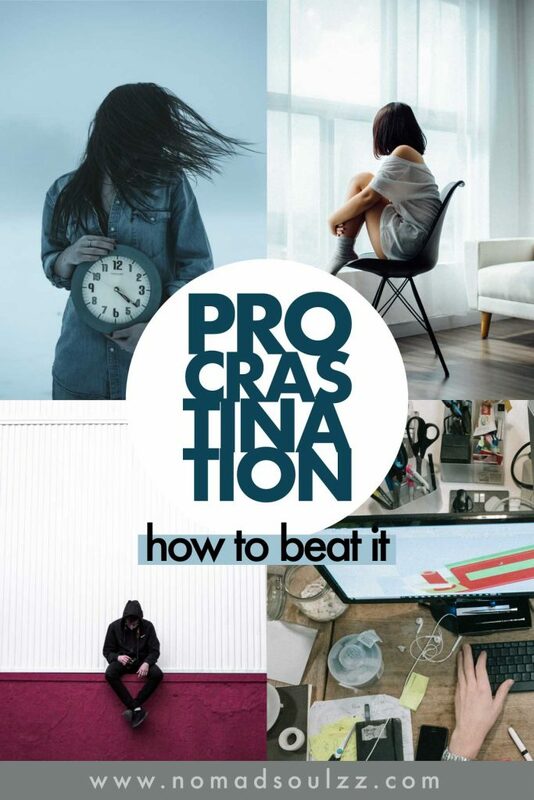 Bye, bye procrastination! Declutter. Relatively easy, yet so effective. Why? The more clutter the more distraction, the more distraction the more likely you will avoid doing the task you are supposed to do. Have an accountability partner. A lot of people benefit from having an accountability partner who helps you keep on track. You share your goals with them and they will check in with you every now and then to see how you are going. They remind of your intentions. Because there is someone else involved, chances are you a lot more motivated to get things done. Also, be an accountability partner for that person. You will experience a shift within your approach towards things, for the good! Act more assertive. One of my current favorite books, The Happiness Project by Gretchen Ruben, discusses how acting more energetic leads to feeling more energetic and therefore happier. I applied the same logic to the opposite of procrastinating, act more assertive and you know what, it works! By acting in a certain way you ignite the feeling that comes along with it. In a way, you’re tricking yourself, and it’s damn helpful, so why not?! 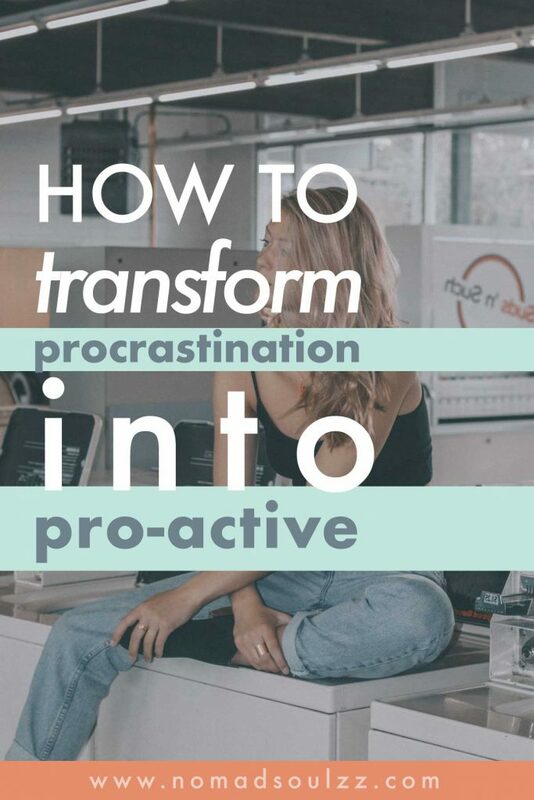 In the end, there are tons of things and exercises you can do to avoid procrastination (omg, did I literally just write that haha. The bittersweet paradoxes of life). But ultimately the origin of all your doings must come from a place that genuinely, intrinsically wants to change. I can suggest you write down a to-do list, but if you don’t you’re one who continues to suffer. Friends, your partner, your boss, or even we can show you the key but you yourself need to unlock the door. Fear for failure, success or perfectionism doesn’t just blow over overnight. But you can start allowing yourself to recognize it as an asset and not as something that defines you. Be kind towards your thoughts and accept this journey as another great way to develop. Start observing the small things and recognizing when you procrastinate. Once you recognize it you can ask yourself is it rooted in fear or elsewhere? Take time to process this, write about it, talk about it, think about it. Be honest and have fun, that’s life at its peak. Did this bring some clarity? Save it for another day by pinning it on Pinterest! This also helps us create more content like this! We appreciate your support boundlessly! This post got me in thr goolies. I guess it hit the spot. First of all the image alone made me want to run and put mt straitjacket right back on! I opened it several times but closed again. This time I thought of telling you. This is my level of procrastination and I’m just can’t do anything. Or better to say it’s out of my control. Slowly start becoming aware of why you delay certain tasks and try to recognize a pattern. Everyone has their own pace, everyone has their own ways to make change happen. Find what feels good for you. Writing and talking are great ways to reflect. I wish you all the best on this journey & warm regards!